This is the catapult that most people call a "catapult"
I think it should have a 1-35 block range and Emerald says it has a 100 durability. This catapult is Emeralds idea not mine. 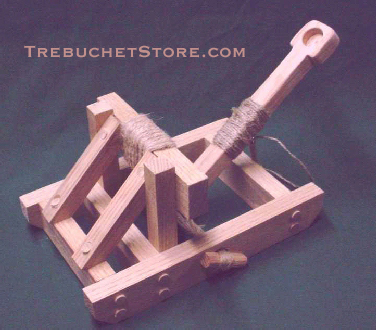 I dont really know how it works but i do know its like a Mangonel and has a long arm with a string holding a bucket or sand bag. why are the images so big?